Tubey Toys Review: Video and Toy Review: JoJo Siwa Mini Tins, Chibi Snapz TMNT & Marvel, Squish'ums - Best Surprise Toys to Buy by bulls-i-toy High Quality, and Great Prices! Video and Toy Review: JoJo Siwa Mini Tins, Chibi Snapz TMNT & Marvel, Squish'ums - Best Surprise Toys to Buy by bulls-i-toy High Quality, and Great Prices! Bulls-i-toy has something for everyone within their collectible range including slow-rise squishy Squish'ums, JoJo Siwa collectibles, fun snappy figures called Chibis Snapz, and more! We were lucky enough to be sent a variety of their collectibles and we unboxed them in our latest youtube video featuring this month’s hottest toys by bulls-i-toys. Marcello had a blast, and we both sincerely thank bulls-i-toy for providing so many fun toys for our review. Overall, their products are sincerely made of the highest quality, and the artwork is supreme. Make sure you check out other products by bulls-i-toy including lots of JoJo Siwa merchandise with sparkles, glitter, and more! They also have L.O.L. Surprise toys like surprise slap bracelets, new mini tins, and light-ups featuring beloved L.O.L. Surprise characters! They also have Chibi Blockz featuring Crossy Road and Animal Jam, and more! Chibis Snapz are a fun, collectible figure that has a suction cup at the bottom. The suction cup sticks to any flat surface, and will make a snapping sound when the figure is pulled away! In each blind bag, you’ll find two different figures and a colorful, fun sticker for just $4.99— you cannot beat that price! The figures are well made and totally cool. We received the Teenage Mutant Ninja Turtles Heroes vs Villains Chibis Snapz. With eight to collect in all, and a variety of 12 different stickers to get, you may just be able to collect the entire collection without breaking the bank. We opened up three blind bags and got six different characters, and only need two to complete in this series, which is a first in our collecting history! Find Chibis Snapz at Target. Next, we discover the new squishy, slow-rising foam called Squish’ums featuring the new series three Pet Boutique featuring adorable squishies with cute animals and mystical, magical unicorns. There are 12 super cute animals to collect in all. Will you get the magical unicorn? The cat? The puppy? 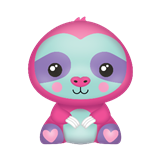 Or even the super slow sloth? Honor the dead with their Skull series featuring a beautiful arrangement of 12 different sugar skulls proudly decorated with traditional colors and shapes. Not only are squishies from the Skull series super squishy, they are also perfect to display on a shelf as their artwork with is really well done. You can find Squish’ums at Target for $5.99 each. The collectible mini tins by bulls-i-toy do not disappoint as they are chock full of goodies. We were sent two different varieties with a bunch of different goodies inside. 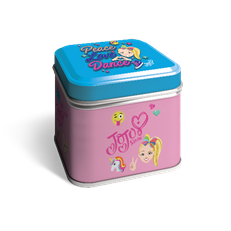 The wildly popular “it” girl JoJo Siwa has her own collection of collectible mini tins featuring 3D keychains that are colorful and are very high quality. You also get two different sheets of magnets that are also high quality with fun images like her beloved pup or even JoJo herself. You can stick the magnet to the outside or inside of your collectible tin, or you can give a chalkboard, or refrigerator some JoJo Siwa style! You also get a full-color poster that you can hang up with your magnets that’ll add flair to any metal surface. Did you know that you magnetize any old surface with magnetic paint? Magnetic paint only comes in dark colors, but I would suggest making bursts of the magnetized paint surrounded by fun, eye-catching colors! If you’re Siwanating your room with some JoJo style, keep that tip in mind! You also get puffy stickers that are super fun, so decorate those boing binders with well made, brilliantly colored Jojo Siwa puffy stickers! 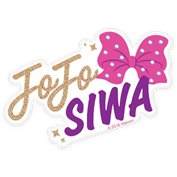 We didn’t open up our JoJo goodies as we are giving them away to a very die-hard JoJo Siwa fan, and we want her to enjoy being the first person to use everything! 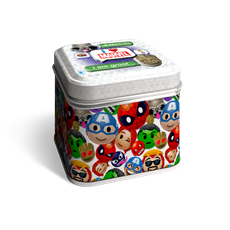 We also got the Marvel Emoji collectible mini tins and what is included is really amazing. You get a full-color sheet of 50 mini stickers featuring your favorite Marvel superheroes and villains. You also get a sheet of fun magnets, and a full-color poster featuring incredibly funny text message exchanges with Marvel superheroes and/or Marvel villains. Complete all of that with a mystery Marvel Emoji Chibis Snapz! That tin is full of goodies! Both styles are just $4.99 each and found at Target! 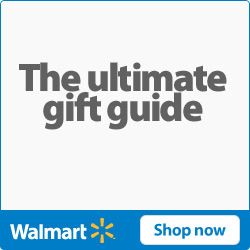 That price is too good to be true for all of the wonderful surprises that are inside. Bulls-i-toy really keeps your kiddo in mind when it comes to collectibles! They have a wide range of toys that will be sure to appease your mini collector. The price for their products are on point, and you get a huge bang for your buck. Make sure you give bulls-i-toy some love and share your own bulls-i-toy finds on your social media accounts. Follow them on Instagram, Twitter, or on Facebook - @bullsitoy Tell them that Tubey Toys Review sent you! Let me know which is your favorite toy by bulls-i-toy that you have ever opened. Also give our youtube video some love by leaving a comment or giving us a thumbs up! I would love to get these tins for my grand daughter, she loves her some Jo Jo Siwa. Whenever we go in a store if she sees anything with her name or character on it she begs me to buy it.